I exported some charts from Excel 2016 as PDFs. 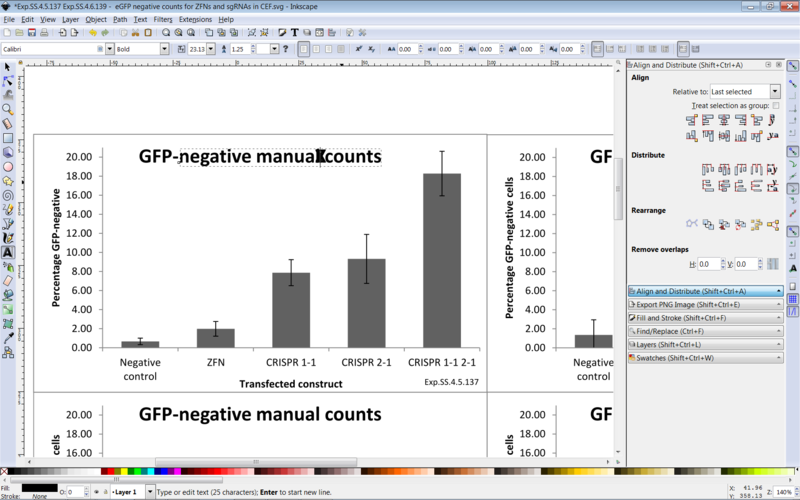 I imported the PDFs into Inkscape 0.92.3 and when I try to type in the text boxes, the letters I type overlap each other. In the below screenshot I placed the cursor after the 'l' in 'manual' and typed XYZ which overlap the l and the space after the l.
Last edited by seans_potato_biz on Fri Jul 13, 2018 2:16 am, edited 1 time in total. 1) Drill down into the groups until you've got a text object selected (check the status bar). Perfect! Thanks very much, Xav!